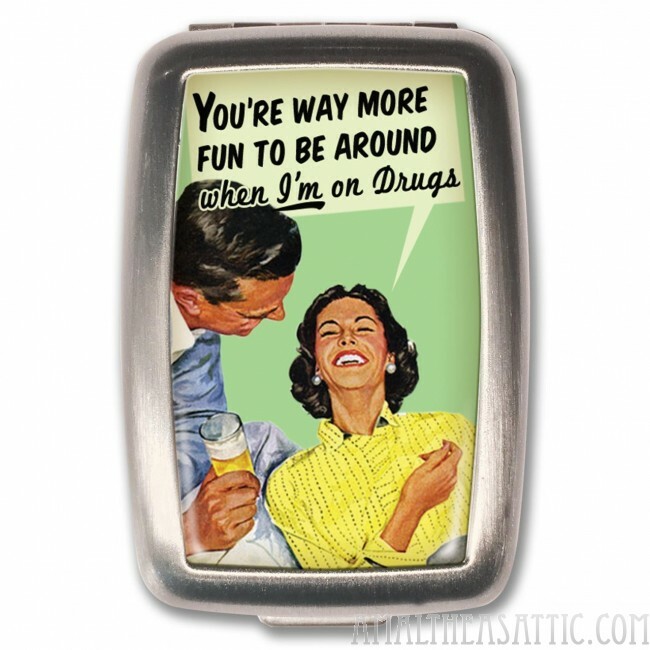 You sound more fun when I'm on drugs! This curved rectangular iron pill box is brushed chrome plated for extra durability. Measures: 2 5/8" long and 1 3/4" wide. 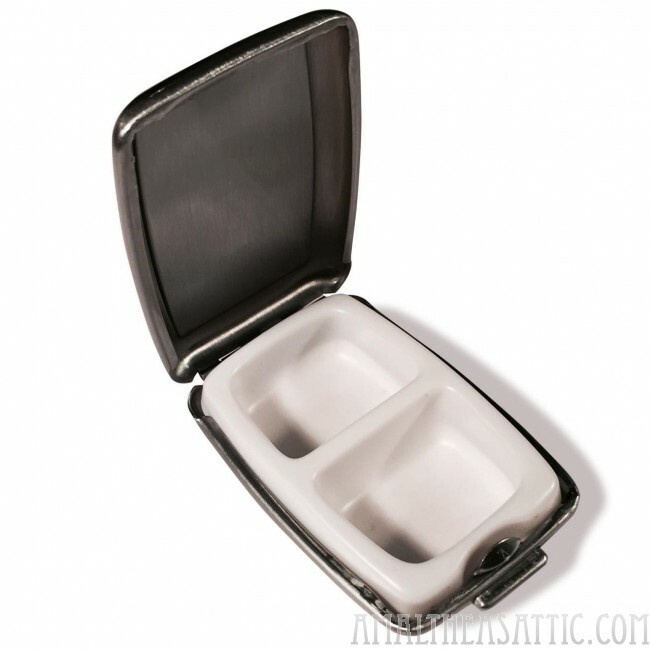 Inside there are 2 white plastic separate compartment trays that comfortably hold 14 to 16 average sized capsules and keeps your pills safe and sterile. The lid closes nice and tight, yet easy to open. As always the art has a glass-like metallic sheen bringing out the artwork's color and fine details.